Zhongshan Bridge The bridge would need to undergo a costly renovation projects in the spring in order to the bridge to continue to serve the people. Finally in year 1909, the floating bridge was retired and replaced by an iron bridge. 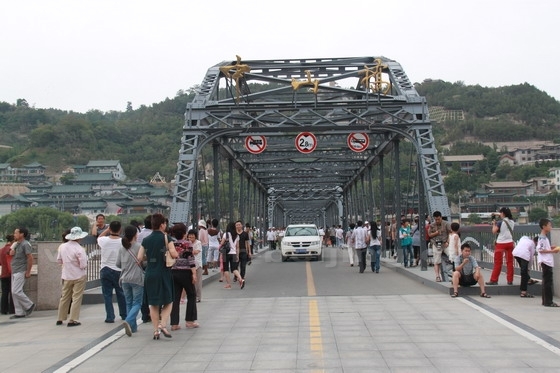 This bridge was renamed as Zhongshan Bridge in year 1942 in order to commemorate Dr. Sun Yat-sen. Anyway, the servicing life of this iron bridge had come to the end in year 1989 and during this time, it was no more the only bridge that built across Yellow River. However, no one can replace its great value in the development history as well as its great contribution to the society throughout the 80 years of servicing period. Nowadays, the bridge is known for a tourist spot which allows people to recall the history of that period. 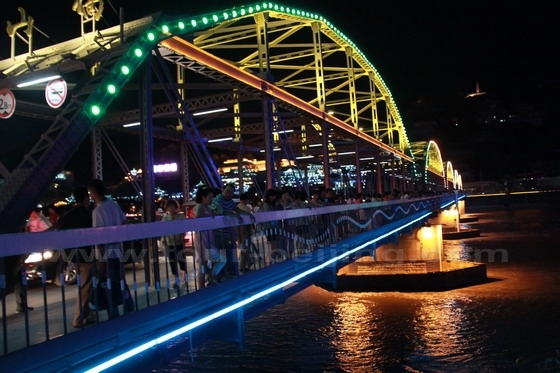 Yellow River Iron Bridge, or Zhongshan Bridge of Lanzhou, which is 233.5-meter-long and 8.36-meter-wide, was built from 1907 to 1909. It is located near the the White Pagoda Hill. 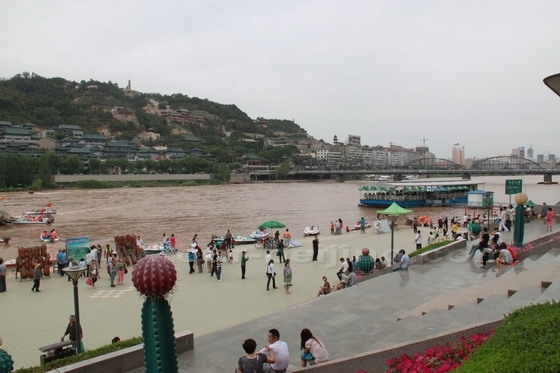 As the first real bridge and the bridge with longest history striding above the Yellow River in Lanzhou, it was originally named Yellow River Bridge. 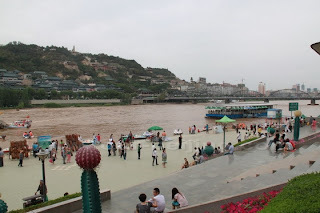 The Zhongshan Bridge is the symbol of Lanzhou City for its majestic looks and uniqueness. The bridge was first built under the reign of the Ming Dynasty. The Qing rulers expanded and reconstructed the bridge to its current size and style at the cost of huge funds.